Titanium is known for its strength and lightness—it's twice as strong as aluminum and 45 percent lighter than steel. Ceramic titanium, which is titanium with a ceramic layer on the cooking surface that gives it a glass type finish, became a popular cookware item in the 1980s. However, like Teflon and aluminum, titanium has had some questions raised about its safety. 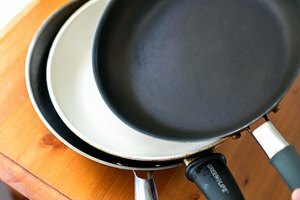 Aluminum and Teflon may play a role in why the safety of titanium cookware is questionable. 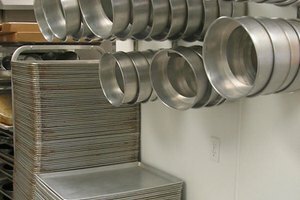 Aluminum is used in many types of cookware as the base metal, but too much exposure to it is considered toxic and has many health-related issues. Teflon releases a chemical, perfluorooctanoic acid (PFOA), which is also considered dangerous. The concerns with titanium cookware are whether manufacturers are using a Teflon-like substance that consumers are not unaware of, and that using aluminum as a core metal has a potential impact on health. Some believe you should use caution when cooking with titanium until there's more proof that it's not toxic. Manufacturers recommend cooking at low heat with Teflon and hard-anodized aluminum, and this precaution should be applied to cooking with ceramic titanium as well. If future studies show that toxic fumes leach out from ceramic titanium like they do with Teflon, cooking at lower temperatures will be safer and healthier. If you want to enjoy the benefits of nonstick cookware but have lingering doubts about the long-term health impact, don't cook foods in them at high temperatures; and don't use metal utensils as they may scratch the surface of the cookware. Wash the cookware by hand and avoid using rough abrasives like steel wool.